The Xemulos of planet Erretaz are a species with four legs, fur, hooves, and tails. Their society is still fairly primitive by our human standards, they tend to live in herds that gather around watering holes on their fairly arid world without shelter and with little tool use. In spite of their resemblance to Earth animals such as horses or donkeys, their actual biological processes are more similar to what we’d call a reptilian style. Xemulos do speak vocal languages, all of them being tonal in nature, but more important to the meaning is the position of the ears while they speak. 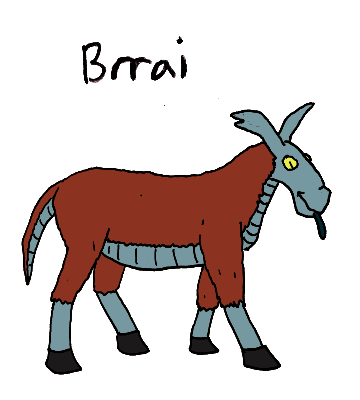 Brrai is part of the leading unit of a herd. The leaders are generally the healthiest specimens of the herd, those who can lead and bear the risk of any danger that may strike from the front. They decide when and where the herd must go, they meet with the representatives of other herds, and they fight when necessary. That is rare, though, so most, including Brrai, have never resorted to violence. It’s much easier to run, after all. 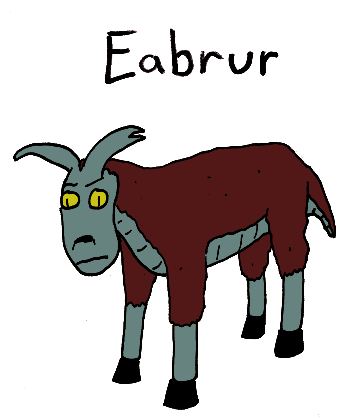 Eabrur is addicted to Unnhurf, which is a fruit that Xemulos gather and store in such a way that it becomes intoxicating to them. Most Xemulos will just have Unnhurf as a celebratory thing, but those with addictive personalities, like Eabrur, can develop problems with it. Eabrur’s addiction has caused problems in the herd, with Eabrur lashing out at friends and family when they try to help. 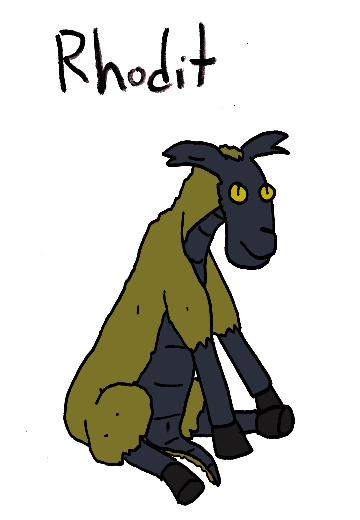 Rhodit is part of a herd that is atypically nocturnal. In their region, the weather can be hotter than most of the rest of the world so they have adapted by taking shelter in cool caves during the day and coming out to eat at night. Rhodit is more territorial than most Xemulos and actually has claimed ownership of a preferred section of the cave. If it were possible to go without food, Rhodit would be perfectly happy never to leave the cave. A Fact About Xemulos: A species of flea-like insectoid-creature has evolved to live off of Xemulos. 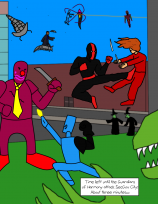 They are mostly harmless, though annoying, to their hosts, and since the vast majority of Xemulos are infested with them, they don’t even realize how much better they’d be without them. The exception is a population of Xemulos on a secluded island who live with a species of flying animal that grooms the Xemulos by eating the parasites off them.